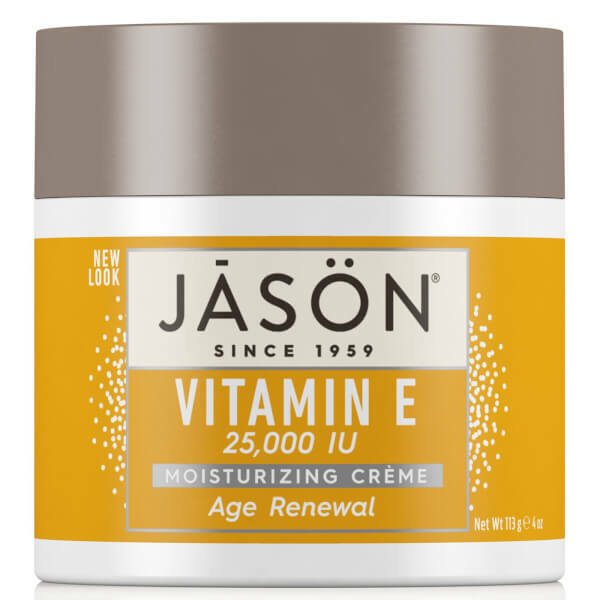 Help minimise fine lines, improve skin tone, texture and elasticity with JASON 25000IU Vitamin E Age Renewal Moisturising Cream. This luscious cream will reinvigorate your skin, perfect for mature and dehydrated skin. Formulated with wheat germ, avocado oil, aloe vera gel and vitamins A, C and 25,000 I.U. 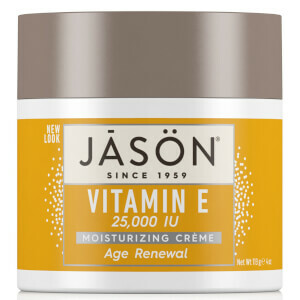 of vitamin E, JASON 25000IU Vitamin E Age Renewal Moisturising Cream is a potent anti-oxidant, and will ensure your skin is kept protected and hydrated throughout the day. This multi-talented cream also helps combat the visual signs of ageing, leaving you with fully moisturised, supple skin.